In the spirit of keeping Sundays Simplicitous here in the Karla chateau, I declared this last one Studio Sunday and indulged only my joyful, creative inclinations, moving slower than usual, and taking it easy. In fact, I took it so easy that I didn't even blog that day like I said I would. 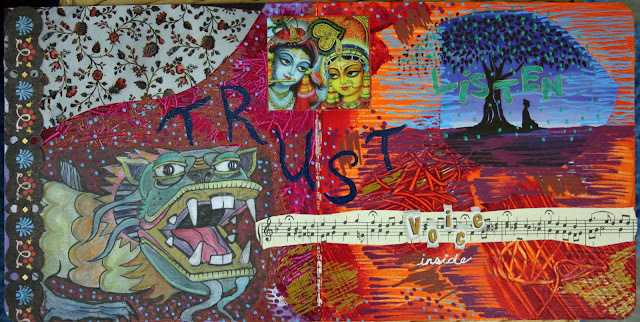 I did, however, complete an art journal page - page 3 of my personal revolution journal. 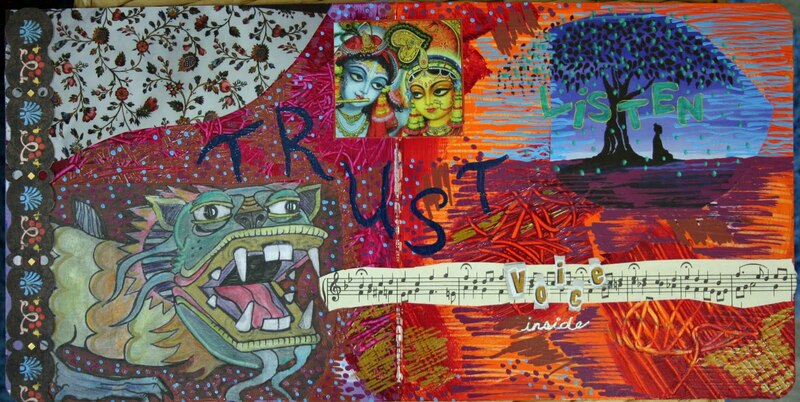 This page is about setting the intention of opening myself to truly listen to my own inner voice... AND to trust it.